Even though I do not use my Duo anymore, I decided to replace infamous C807 capacitor with the new one. Capacitor is known to fail after 2 or more years of everyday operation. What happens if capacitor fails? When the receiver is switched on, it does not boot into Enigma. Instead you get permanent red light with black VFD screen. 2. Electrical pliers for removal of old capacitor. 1. First you need to cut away old capacitor. Be careful not to cut to much as you will solder new capacitor on leftover pins from old capacitor. 2. Prepare your sholdering tool. When ready, apply soldering iron on the tip of the tool. 3. 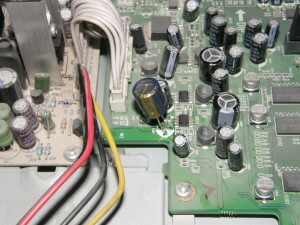 Grab new capacitor and put it on the base of the old capacitor. 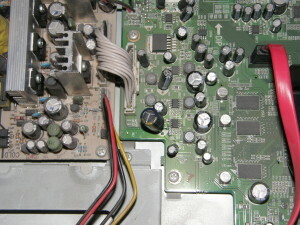 Make sure that the negative polarity in connected to the white part of the old capacitor base. Negative polarity on capacitor is labeled with “-” signs. Put some soldering iron on the pins of new capacitor and you should be done. Please check pictures below if you are not sure. 4. Power on the receiver and hope that it will boot without any problems. It is recommended to replace old capacitor before red light appears. If you do not, you can risk failure of not only capacitor but also nearby transistors. 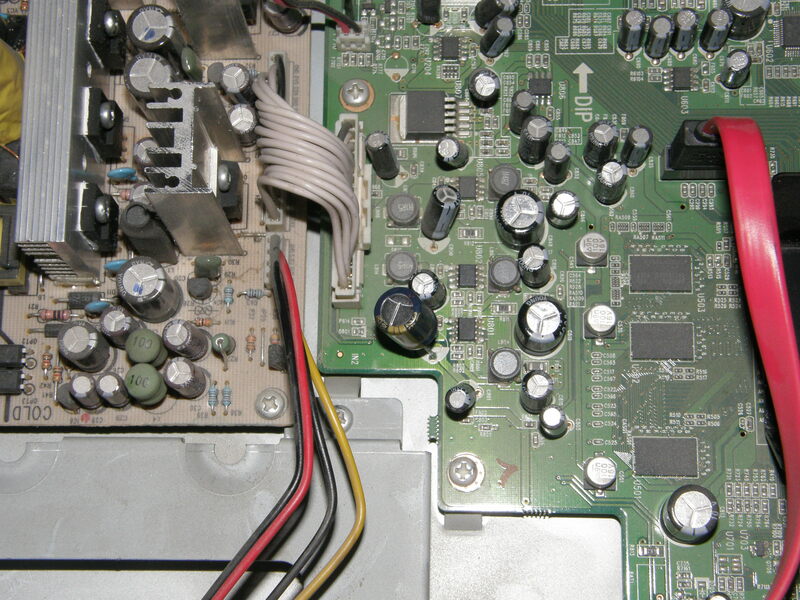 In such case new capacitor does not help. My machine(~2year old) broke down a day ago and was already looking for a new box. I was considering this as a long shot but it worked! Just watched a youtube video on how to solder, bought the capacitator (no idea what i does though), soldered the thing and voila! Thanks a million! You just saved me a couple of hundred bucks! Great that my tutorial helped you. Good tutorial. 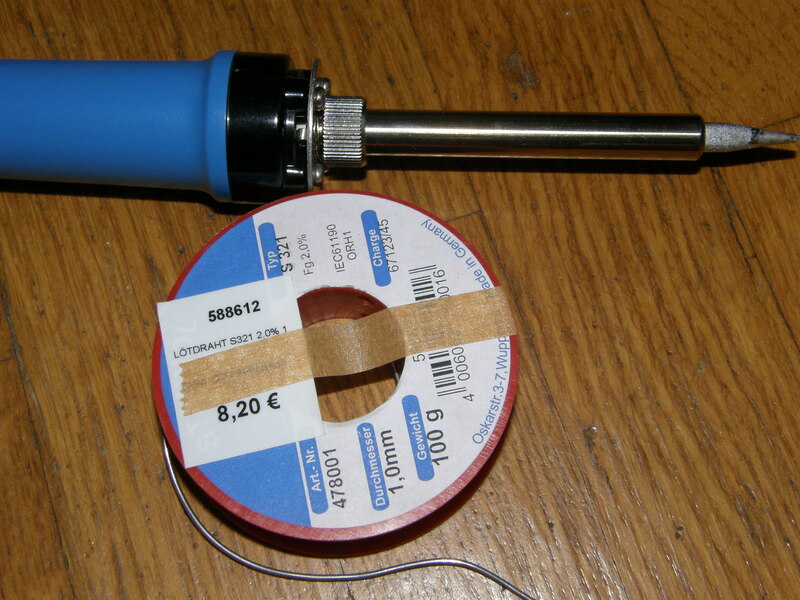 Never soldered on a pcb but bought a soldering kit and a DT64 220µF 50V 105°C Radial Electrolytic Capacitor from Maplin. Taking the extra heat gives it a longer life. Fired up first time. Quicker boot time as well. Your tutorial just saved me about 300€. I was ready to buy a new receiver, but a last minute Google search showed me your blog and …voila!!! My 4yo Vu Duo is alive again! Another success story – Fixed two boxes today and both now work again. Great to know that you have good results with this easy fix! I got a Vu+ Duo2 stuck in white led. Do you know if there’s anything like posted in this tutorial do help me? One question, I did’t have any 220uF or 330uF, but I had 470uF so I tested to use this one on one box first and it´s worked perfectly so I did the same on the other two box as well, do you think that could be a problem? Brilliant tip! It just works. Thanks! Just did this hasn’t worked :/ still same red light – any ideas?